The Northcoast Environmental Center is in a state of flux, as it announced over the weekend that Executive Director Dan Ehresman will be stepping down in the next couple weeks. Ehresman has worked for the NEC for six years, serving as the organization’s director since 2012. In recent months, Ehresman was critical of California Cannabis Voice Humboldt’s efforts to draft an outdoor cannabis cultivation ordinance for Humboldt County, saying the group didn’t include environmentalists’ concerns in its draft proposal. The county has since introduced its own draft ordinance, apparently not based on the CCVH effort. Ehresman also stood in front of the county courthouse last month with Assemblyman Jim Wood and local officials in a somewhat self-congratulatory urging of Gov. Jerry Brown to sign statewide medical marijuana legislation that Wood had helped draft. It’s unclear what’s next for the NEC or for Ehresman, though in a letter he said he plans to stay in the area and continue working on conservation issues. After six very productive years, the Northcoast Environmental Center is wishing Dan Ehresman the very best as he moves to the next chapter of his career. The Board accepted his resignation last week. His last day with the NEC will be November 12. 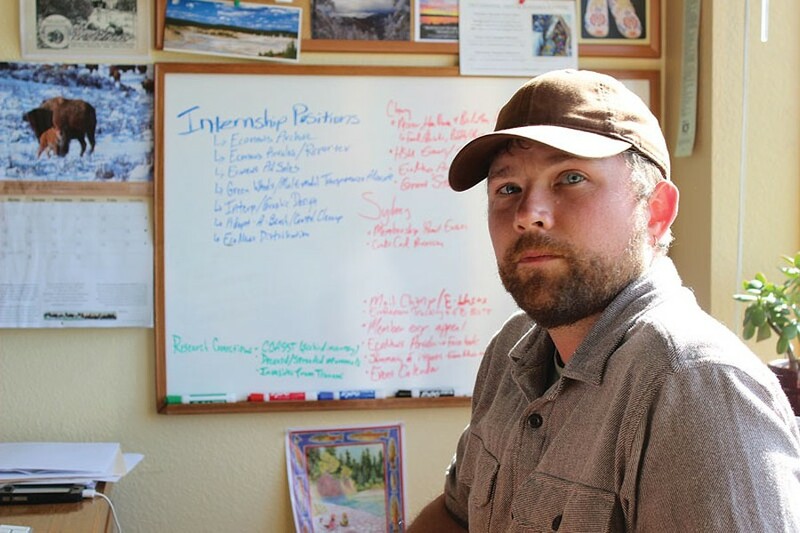 Dan began his work at the NEC in November of 2009 as part of the Healthy Humboldt Coalition. Since taking the position as NEC’s Executive Director in 2012 he has been an active voice for conservation in countless meetings on the Humboldt County General Plan Update, was instrumental in getting the issue of marijuana cultivation regulations into a public process and spoke on a variety of environmental issues locally, regionally and throughout the state. Most of all, Dan has been a contact person for many in the community to provide accurate information on the myriad of conservation issues on the North Coast. We wish Dan the very best in his upcoming career endeavors. It is with mixed emotions that I am writing to let you all know that I have decided to leave my position at the Northcoast Environmental Center. As stated above, my last day with the Center will be Thursday, November 12. Although I am excited about embarking on the next chapter of my life, there is a lot that I will miss. It has been immensely rewarding to work as part of an organization with a rich history that continues to fill an important role in our region. I am extremely grateful to the many people who have provided such strong support during my time here and I am very proud of the progress we have made together over the last several years! I am also proud of the staff that will continue on at the NEC and I trust the commitment from the Board to carry the organization forward. I take pride in our many accomplishments throughout the six years that I’ve been with the NEC: we've been a critical voice on land use issues on the North Coast (from the never-ending GPU to the crazy, complex beast that is weed), we are on the way to having our entire 44+ years of EcoNews digitized so that members of the public will be able to explore the rich eco-history of our region, we maintained a strong environmental education program that engaged hundreds of kids in caring for our biosphere, we've continued to get the word out on important environmental news through EcoNews and EcoNews Report, we've provided jobs and learning opportunities for many students through our internship and work study programs, we've been instrumental in helping to keep our beaches and waterways clean through Coastal Cleanup and Adopt-a-Beach, and we've had some pretty great parties and parades with friends old and new. While my paid position with the NEC may be coming to close, I plan to stay in this region and I will continue to engage on critical conservation and community-based issues. We have a lot of work ahead and I am grateful to live in an area where folks care immensely. Thank you all again for your help along the way!